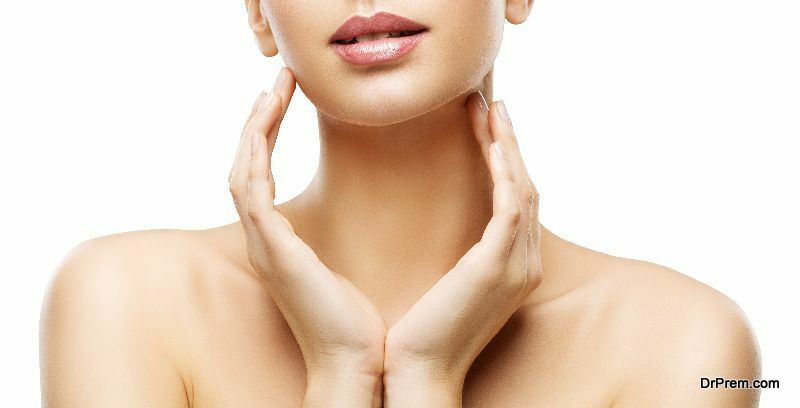 A clearer and younger looking skin is what every one of us desires. 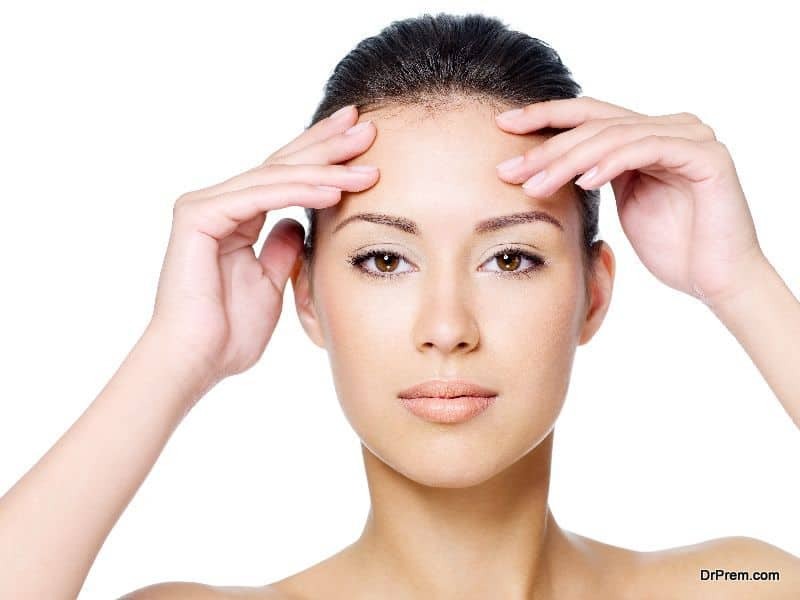 There are plenty of ways and measures to ensure that your skin looks and stays young and healthy. 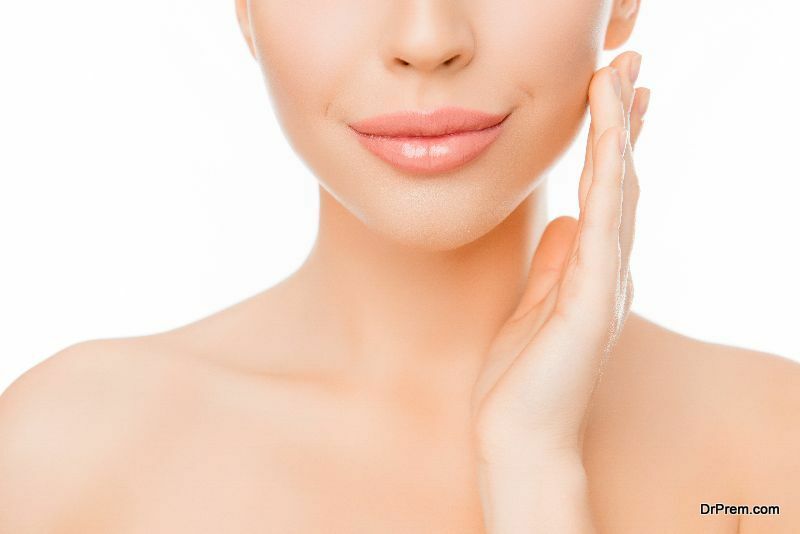 From using commercial products to home-based remedies, there are many means that you can adopt to make sure you have a fine-looking skin. Instructions: Form a closed peace sign with your hands. 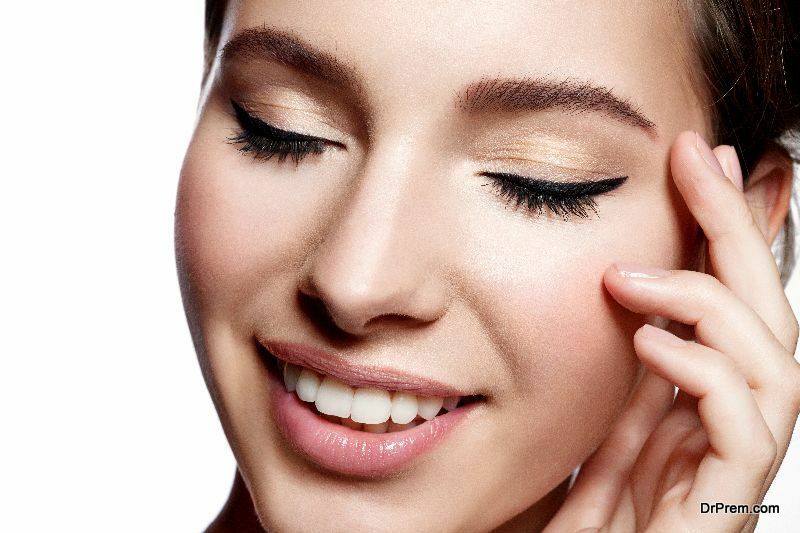 Then keep your fingernails over each brow and put pressure to move your eyebrows down. You are to use your fingernails and not your fingertips. 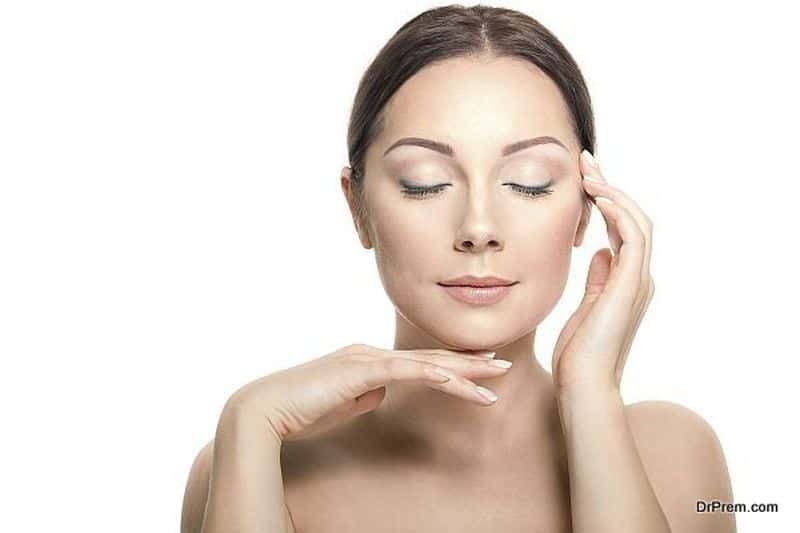 When you are pushing the skin down, gently massage your eyebrows by pushing them up and down. Muscles stretched: In this exercise, we’re creating a pressure to lift the eyes and strengthen the muscles in your forehead. Reps: Do three sets of ten repetitions each, followed by another three sets of ten. Instructions: Hold both middle fingers close at the inner corner of your eyebrows while holding your index fingers together at the outer corners. Press your index finger tightly against the outer edge of the eyebrows. Look up at the ceiling and squint as hard as you can and let go after about 5 seconds. Reps: Do six repetitions followed by closing eyes shut tightly for about 10 seconds. Instructions: Look at eye levels and rest 4 fingertips of each hand on their respective side at the bottom of the neck just above the collarbone. Lightly pull the skin downwards with the head tilted back. Now look down and repeat two more times. Lastly, push the lower lip as far up as possible to pull down the corners of the mouth. Follow this with placing your fingertips on your collarbone and point the chin toward the ceiling. Hold for 20 seconds. This will help with loose skin and line around the neck. Pretend you are chewing gum. This works on relaxed cheek muscles. It will give them a better shape and make them less plump. Reps: Do this 20 times, relaxing for about 10 seconds between two consecutive repetitions. This will help obviate horizontal lines on the forehead. Instructions: Open your mouth and conceal your teeth with your lips. Try to smile in this position keeping the teeth hidden. Repeat this five times. Follow this with the next procedure. Hold the index finger on your chin while staying in this position. Then work your jaw in upward and downward motion. This will help with cheek lines and sagging skin and can be an alternative to fillers and lower facelift. Instructions: Place the index fingers below each eye pointing to the nose. As in smile smoothener, conceal your teeth with your lips making an ‘O’ with your mouth. Flutter your eyes repeatedly while looking up for about 25 seconds. The above-given methods are not guaranteed to work for everyone. These methods are generic and are mostly productive for all, but may pose adverse reactions for some people owing to their skin quality. You need to be very sure of your skin type before you proceed to apply anything to it. Also, make sure that you keep into consideration all your allergic reactions so as to not face any unwanted situations in the future. Remember that there are many combinations you can use when speaking of skincare routines. Be a bit flexible with your combinations to dodge your skin allergies, and witness your skin texture and condition changing faster, gradually, and for the better.